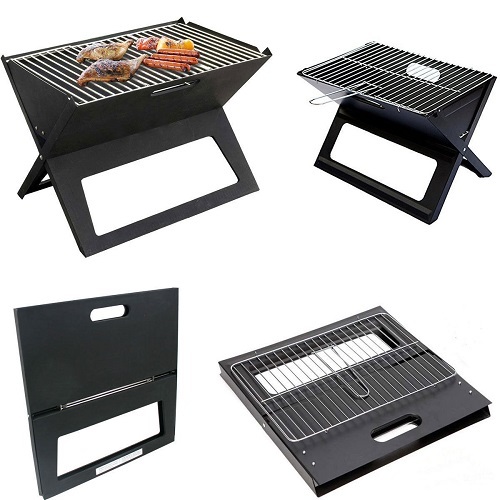 Description: Notebook Portable BBQ / Hotspot - Ideal for festivals, camping trips and any garden soiree where space is tight. - This robust grill is crafted in pressed-steel yet it's light enough to take almost anywhere. - Once the included racks are in place you'll have a 435mm x 290mm cooking area. - 3 easy steps: 1) unfold, 2) fill with charcoal 3) Light.